•understand and apply the principles of nutrition and learn how to cook. The field of Product Design is a very varied one indeed. There is very little that we wear, eat or use in our everyday life that didn’t start off as an idea in a designer’s head. At King Edwards we encourage students to develop the possibilities and potential of their talents by exploring what already exists around them and creating designs in a variety of materials which will bring about improvements and benefits to consumers. This is very much the foundation upon which GCSE and Advanced Level success is built. 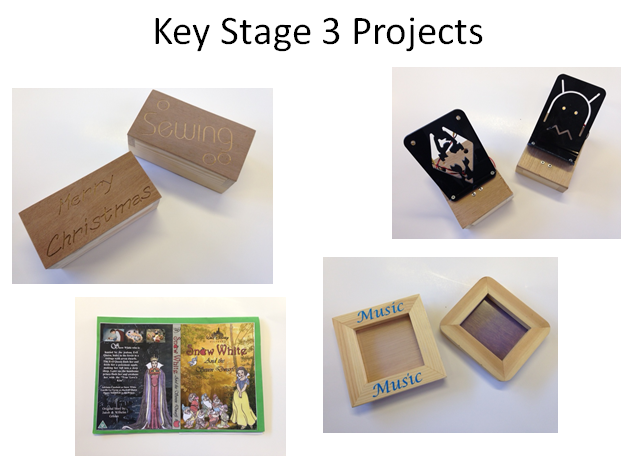 At KS3 we encourage students to explore design possibilities and develop a range of skills whilst creating high quality products. 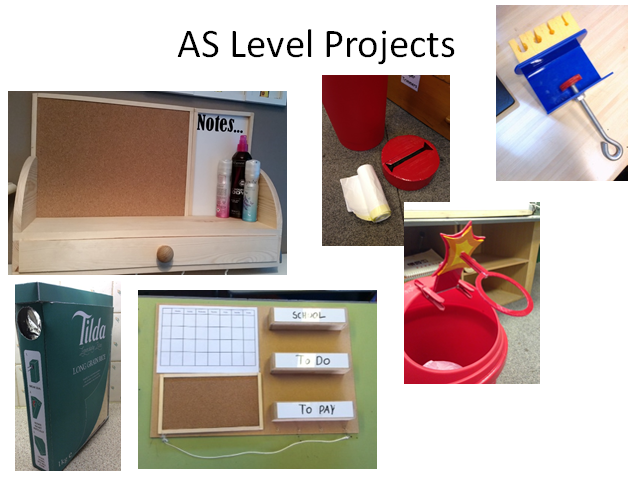 All KS3 students will ‘design and make’ using Food, Textiles, Electronics and Materials (timber and plastics). 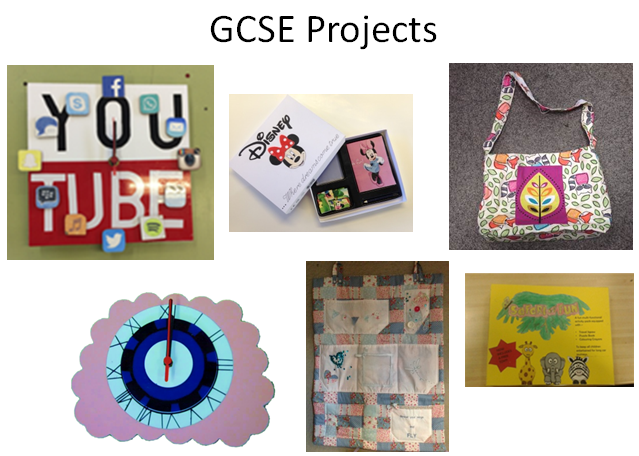 Currently, typical examples of KS3 projects will involve making food products, such as pizzas and scones, the production of mobile phone holders and cushions in Textiles and musical pen holders and picture frames. Some of these products will exploit modern technologies such as Dye Sublimation Printing and CNC machining whilst other will encourage students to learn manual skills. Through following these activities students will also develop their graphic communication skills which enable them to express their ideas creatively and coherently. We will also cover multicultural and social aspects of Design & Technology, as well as, the environmental implications of the systems, artefacts and environments we use in our ever increasingly technological world. Unit A551: Developing and Applying Design Skills. This unit requires students to develop and write a design brief, draw up a design specification and generate a range of design proposals. Unit A552: Designing and Making Innovation Challenge. The Innovation Challenge is a teacher-led activity that stimulates and supports the student through a thought-provoking creative exercise. Unit A553: Making, Testing and Marketing Products. This unit follows on from A551. Students are involved in prototype manufacture and testing, evaluating and marketing their final design. Unit A554: Designing Influences. This is the terminal examination. Students are required to demonstrate that they understand the influence upon designing of issues (amongst others) such as social, moral and cultural issues, environmental factors, consumer law, globalisation of design and manufacturing, sustainable technologies and computer-aided design and manufacturing. Internally assessed coursework (A551 and A553)accounts for 60% of the final GCSE grade with externally set examinations (A552 and A554)making up the remaining 40%. In order to facilitate as seamless a transition from GCSE to Advanced Level, we offer the OCR Advanced level specification. This specification is designed to offer students the opportunity to study, propose and realise prototype solutions closely linked to the real world of product manufacture in a range of material areas. Recognising the routes that are pursued at GCSE, this course provides candidates with the opportunity to continue their studies either exclusively or as a combination of focus material areas. • develop thinking skills, financial capability, enterprise and entrepreneurial skills. F521: Advanced Innovation Challenge. Students take part in a timed design challenge based on a pre-released theme, under examination conditions. 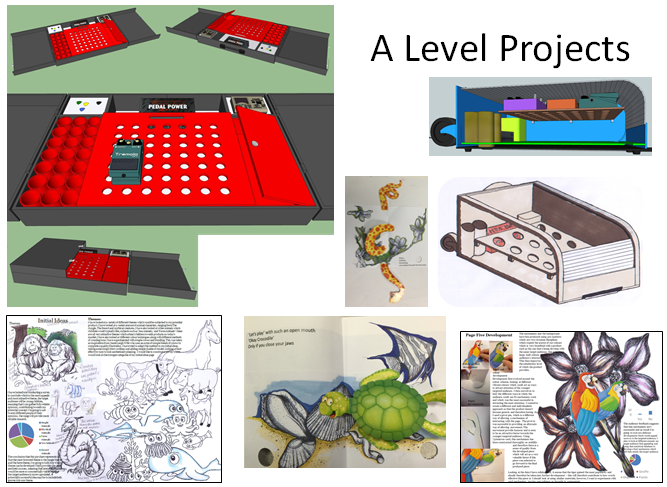 The challenge consists of a design, and modelling exercise recorded in a workbook. A written reflection paper is completed at a later date. F522: The Product Study. Students carry out an in-depth product analysis resulting in suggestions for improvements. This is a coursework component that is marked by the teacher and externally moderated by the examination board. F524: Product Design. A written paper that consists of two components. Candidates are able to select questions across the focus material areas as they wish. Many of our students who take KS4 and KS5 courses in Design & Technology, go onto pursue careers in a Design related profession. From Fashion Design, Architecture, Materials Science, Sports Technology, Exhibition Design and Graphic Illustration (to name but a few destinations our students have gone onto) to gaining internships at Rolls-Royce, the variety of potential university choices and career paths Design & technology offers is truly vast. Please contact Mark Rogers (mrogers@kingedwardvi-lichfield.staff.sch.uk) should you require any further information.